Woronora General Cemetery and Crematorium, N.S.W. 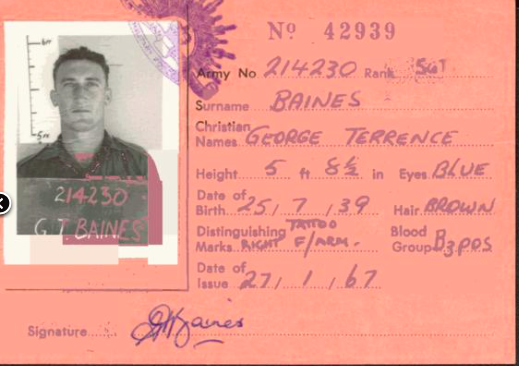 Help us honour George Terence Baines's service by contributing information, stories, and images so that they can be preserved for future generations. 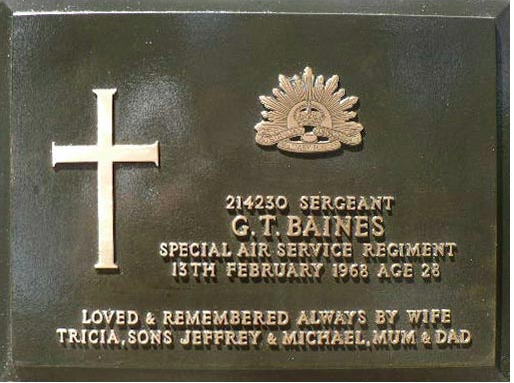 George (Chicka) Baines was born in New South Wales on 25 July 1939. He enlisted in the Army on 7 August 1961 and was allocated to the Royal Australian Infantry. He was posted to 1 SAS Company Royal Australian Regiment on 12 August 1963 and underwent Recondo training in 1964. 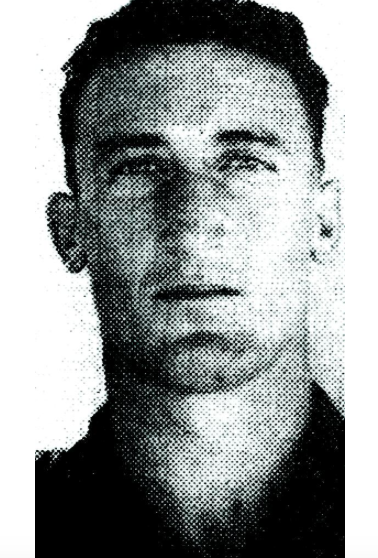 Chicka came from 1st Battalion the Royal Australian Regiment with the rank of Lance Corporal but reverted to the rank of Private on posting to 1 SAS Company. Chicka died on 13 February 1968 from injuries sustained when a M26 hand grenade prematurely exploded at Nui Dat in South Vietnam. Chicka’s next-of-kin at the time of his death was his wife. He was the father of two sons.